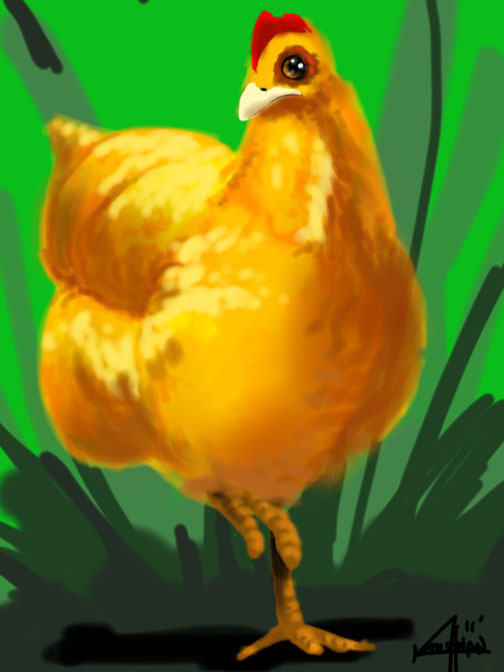 krishnan fine art: Day 30 - Chicken! I am unapologetic about loving all things chicken (well ll things except eating them, which I suppose is a big thing). A potential candidate as proof that evolution has a sense of humor, chicken are hilarious (though they can also be pretty terrifying). On the subject of chickens, giant ones are the best. People in chicken suits, plastic dinosaurs terrified of said people in chicken suits - all recipes for hilarity. Finally, to the hand full of people around during the clucking period of 2006-2008, this one goes out to you.